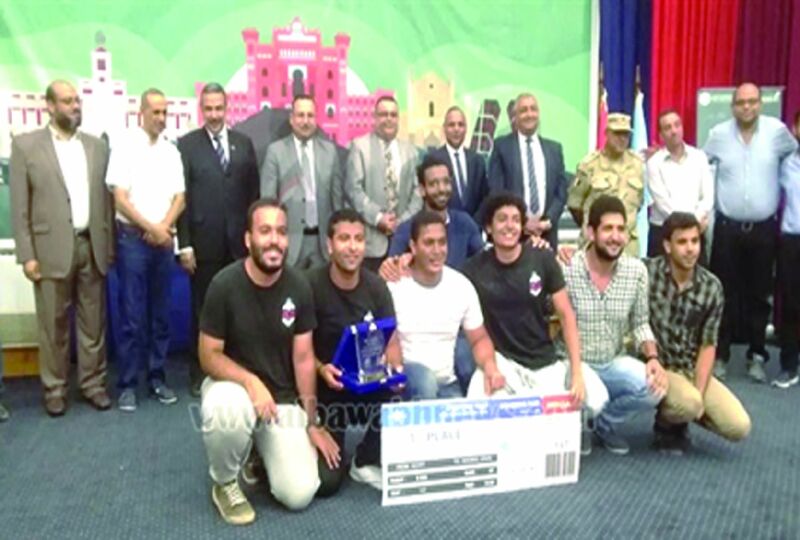 Auctroventa team , the representative of October 6 University, came first place in the International Competition for the Detection of Landmines and Explosives in its 7th edition organized at the Faculty of Engineering University of Alexandria, in partnership with the Association of Electrical and Electronics Engineers for robots (IEEE RAS) , the institution (Hadath for Innovation and Entrepreneurship) , in cooperation with the National Telecommunications Regulatory Authority (NTRA) as a strategic partner, with the participation of 40 teams from 23 different Egyptian universities in the competition. 17 pre-university teams also took part. 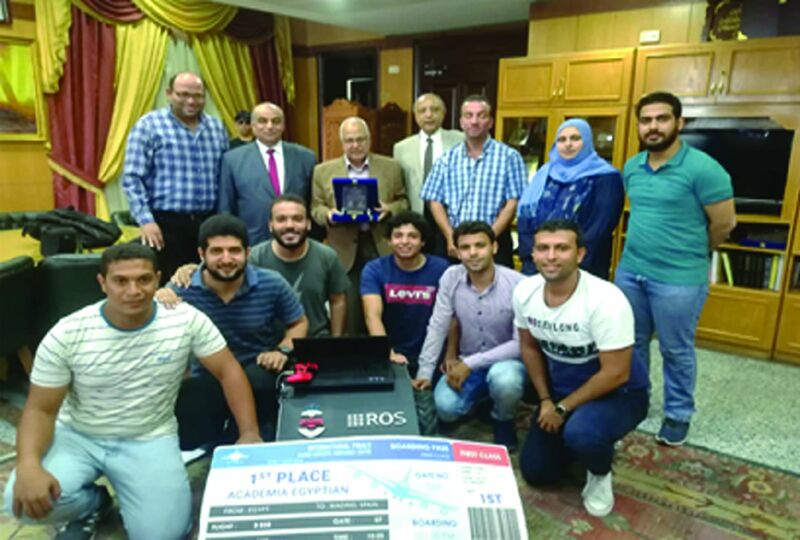 The winning teams in the Egyptian qualifiers will qualify for the international competition in Madrid, Spain 2018, the largest conference on robotics technology in the world. The closing ceremony was held in the presence of: Dr. Mahmoud Sakr, President of the Academy of Scientific Research, Dr. Hesham Jaber, Vice President of Alexandria University for Student Affairs, Dr. Abdel Aziz Qunswa, Vice President of Alexandria University for Environmental and community Affairs, Dr. Said Allam , Dean of The Faculty of Engineering, Dr. Fadel Dijam, Head of Scientific Research Department of NTRA, Eng. Hossam Othman, ITIDA Vice President, Dr. Omar Farooq, Assistant President of the Scientific Research Academy, Eng. Mohamed Abboud, President of the institution (Hadath For Innovation and Entrepreneurship ". The ceremony was attended by Dr. Osama Ismail, Vice President of the Arab University for Science and Technology, Head of the Engineering Branch of the Northern Region, Staff Brigadier Ahmed Bassem Al-Kordani, and a number of teaching staff, students and employees at the university. The University takes this opportunity to congratulate the Dean of the faculty, teaching staff, employees and students on this great achievement.